We offer melamine moulded panel doors to our client as per the requirements of clients. The Doors and furniture are available in various interesting designs, shapes and vivid colors and promise genuine quality and longevity. Profile Specification: Solid Low Density Particle Board Specifically Designed For Moulded Doors/boards. Banking on the skills of our qualified team of professionals, we are instrumental in offering supreme quality range of Melamine Door. 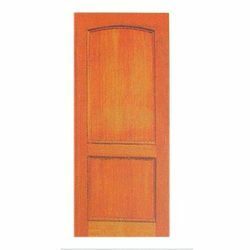 Being a well-distinguished company in the market, we are involved offering Melamine Moulded Door. We are the foremost firm of HDF Modular Melamine Door. These products are manufactured utilizing the advanced techniques. Further, our valued consumers can obtain them at nominal prices. The Decorative Melamine Door offered by us is available to clients in aesthetically appealing designs.